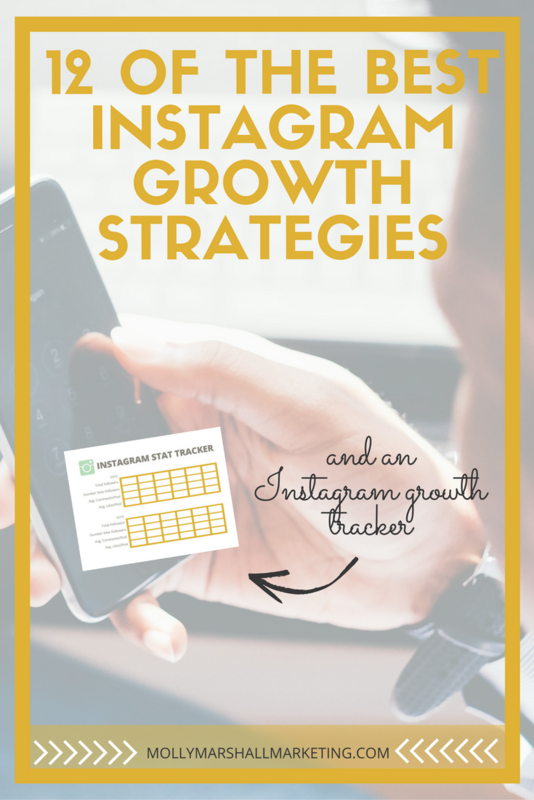 Last month, I hosted a free, 12 day challenge, completely focused on Instagram Growth Hacks. I’ve pulled all of the tips here in to a blog post for easy viewing. If you didn’t have a chance to join us, you can breeze through below. Did you know there are only TWO fields in your entire profile that can be searched on? When you go to your Explore tab, and type in a keyword like “Fitness Tips,” do you see what pops up? People with “Fitness Tips” either in their USERNAME or NAME field. Your description is not indexed at this time. Think of your main keyword (what value are you offering people? ), and put that in your NAME field, if it isn’t already part of your username. (Example, I have “marketing” as part of my user name, but I have Instagram AND Social Media in my name field). This will help the right people find you! SHARE: Tell us what your main keyword is, or ask any questions below. When someone follows an account, Instagram shows them other “suggested accounts” to follow. 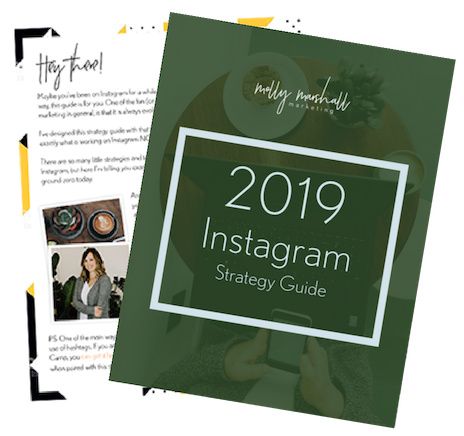 While we don’t know the exact way that IG determines who to show here, it can’t hurt to be connected with other like-minded accounts in your niche. Using similar hashtags is probably also really valuable, and we’ll talk more about them soon). Also, as you engage with these niche accounts, people see your comments and may pop over to your profile to check you out. SHARE: Are you already doing this? If you want your account to grow, you need to post every day. Will you still get new followers if you only post every other day? Or only twice a week? Yes… but it will be s-l-o-w. When things don’t move very quickly, we tend to lose interest, and many of us give up before we see results. See, there are a few “tipping points” on Instagram. Usually when you hit 500 followers, the pace of new followers starts to pick up. Again at 1,000, many people start to gain new followers faster. Posting every day will help you hit these milestones. SHARE: How often are you posting now? Did you know that when you search a hashtag on Instagram, they show 9 “trending posts” at the top of the results before they start the chronological feed? These top posts get seen by lots of people. Whenever I have been “trending,” I’ve gotten a ton of new followers. We don’t know the algorithm that determines what is “trending,” but we know it has to do with the engagement those posts are getting. COMMENTS are a major engagement indicator. More people are likely to double tab (to like) than they are to comment or tag someone… so encourage this highly valuable behavior by always asking a question or requesting some action on each post. The easier the question is to answer (one or two words, or an emoji, etc. ), the more likely you will be to have commenters. SHARE: What question will you ask today? You can use up to 30 hashtags on each Instagram post, and I personally use them all! Think of them as search terms. These are the words that people type in to the Search tab, to find relevant accounts to follow. Be sure that YOU show up where you should. What are you about? Health and fitness, social media tips, wedding planning, newborn photography… what is it? 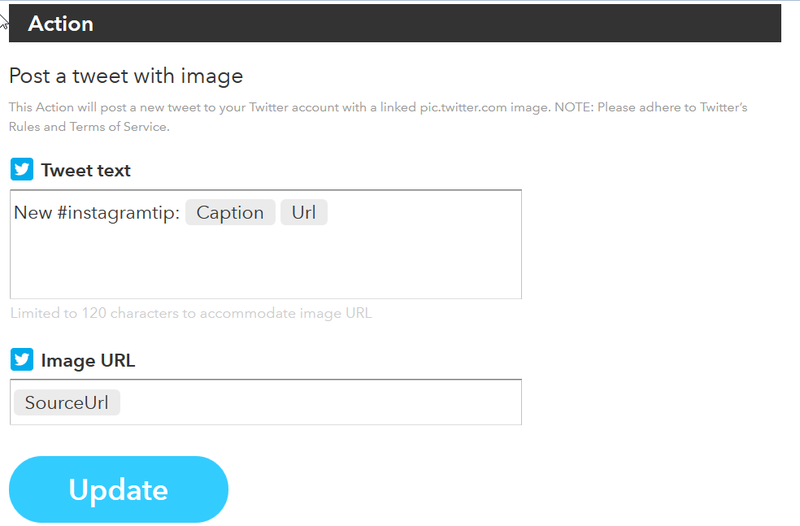 Create hashtags around your keywords, and post them on each picture. Instead of words like #love or #blue, get specific about what you do. You don’t need to worry about using hashtags that describe that one image, think more about what your entire account is about, and use those hashtags. If you are lost, read this blog post that I have written about how to use hashtags. SHARE: How experienced are you with hashtags? Yesterday you thought about hashtags to describe your business… but have you thought about your ideal customer, and what hashtags THEY are using on their photos? Search these hashtags, and spend some time each day liking and commenting on photos. I use hashtags around small business like #smallbusiness, #shoplocal, etc… but who is YOUR customer? What do they post and care about? Make a list of 5-10 hashtags to seek out new customers. Go through and like at least 100 photos, commenting when you feel compelled to. Pay attention to how many new followers you get in the next 24 hours. SHARE: A couple of hashtags you think your ideal customer uses. Instagram posts that feature a geo-tag (a location tag, like a “check in”) get up to 79% more engagement. If you have a physical location, you MUST set it up as a custom location and you should be tagging your own location each time you post. If you DON’T have a physical location, consider at least checking in to your city or region. If your business is “everywhere,” think of other times and places you can check in. Do you attend events that your potential customer would also attend, like a concert or a holiday bazaar? Often, events have set up Custom Geo-Tags, and you can check-in to the event itself. Your potential customer may be searching these locations and come across your post! 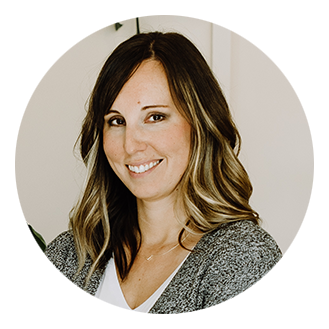 If you haven’t already, click here to learn how to set up a custom location for your business. For “everywhere” businesses, try checking in to a more general area, like your town, and see what happens! SHARE: What was the last event you attended that you could have checked in to? SHARE: Where will you push your Instagram posts too? 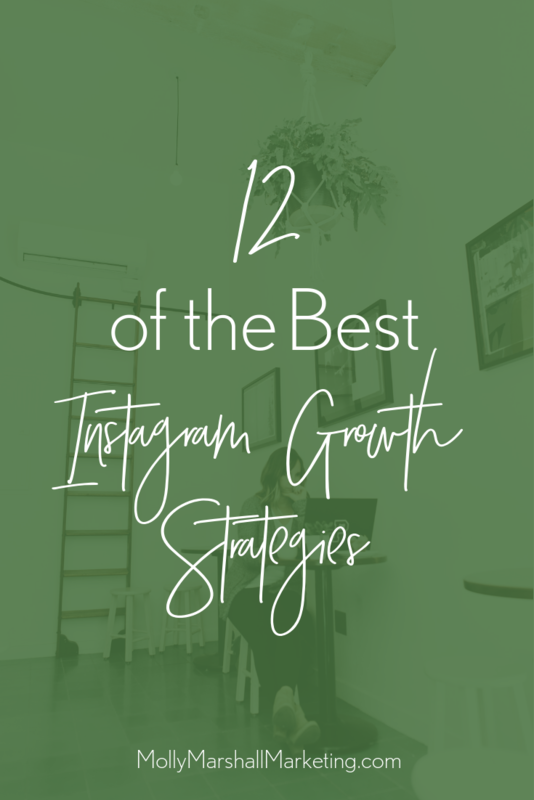 You don’t just have to rely ON Instagram to grow your Instagram followers. Where else can you promote the fact that you are on Instagram? Here are some ideas: 1. Website 2. Business card 3. In store signage 4. Email signature 5. Other social profiles When you invite people from one social platform over to Instagram, try to think beyond just, “Follow us on Instagram!” What can they get on Instagram that they can’t get anywhere else? SHARE: What is special about YOUR Instagram account? What can your customers get there that they can’t anywhere else? This may seem minor, but I recently found that I could reach about 30% more people (organically!) in the feed just by tweaking my posting time. More people are seeing my posts and engaging with them, which helps me get in to the Top Posts area for my hashtags, which helps me get found and ultimately grow my account. To find your best posting times, start by looking in your Instagram analytics to see when your followers are mostly online. You can test different posting times from week to week and compare results, but I simply used Tailwind’s “Smart Schedule” feature. I created this short demo video to show you how it works, but it resulted in 30% more organic reach for me! SHARE: When was the last time you tested a new posting time? When talking about “growth hacks,” you can’t ignore contests! Contests can be great for growing your followers, but there is definitely a right way to do them! For more about common Instagram contest mistakes, and how to avoid them, check out this blog post that I wrote. SHARE: Have you done a contest before? If so, how did it work out for you? UGC is content that your customers create on your behalf. When they post a picture of them wearing their new item, or they check in to your restaurant, etc. Ask for it and use it! When your followers see that you are posting customer-created content, they may be more likely to post their own pics of your stuff (everyone loves a shout out). When someone posts on your behalf, you are also reaching THEIR audience. UGC builds community, takes the pressure off of you to create ALL the content yourself, and extends your reach. SHARE: How do you encourage UGC? Which of these strategies will you be implementing? Those are great top-level keywords. Start grouping them together and typing them in the Explore tab on Instagram to see what kinds of words you can pair with those to get really targeted with your hashtags!